Anunaki has landed! And it's here to take your computer resources away! 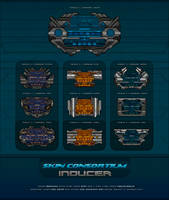 Boasting with 4 unique player modes and endless features, this just might be the skin for you. 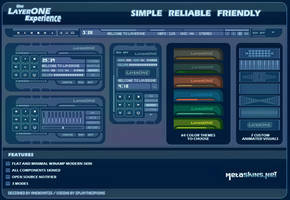 v1.1 : Updated (03/08/05) - bug fixes and now has 40+ color themes. This is dedicated to Lexie, Jethro and Judd and sa lahat ng pinoy na Winampers! I've always liked this skin, especially in party mode, though I haven't been using for the simple reason that it doesn't fill my widescreen; I have a 16:10 aspect ratio (resolution of 1680x1050) and was never able to make it wide enough.. tried everything.. If that could be fixed, would be great..
Congrats for the originality of the skin, anyway.. oh, BTW, the version for cPro, can that be updated with the same color themes? That would be the BEST! 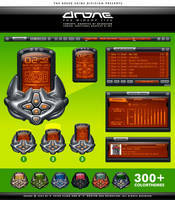 This is a way super hot skin for WinAmp! I have been using this skin for a small chunk of time now, and absolutely love it. Plus I rather enjoy that it came stock with a lot of different colors to choose from. I normally use this skin in "normal mode", but in a pinch, to open up space on my desktop, I love the looks of "stick mode"! Oh and I love the little accents that you applied to this skin, mainly those small pulsing lights next to the information screen, that pulse with the music, makes me think I've got a full blown disco-tech on my desktop. 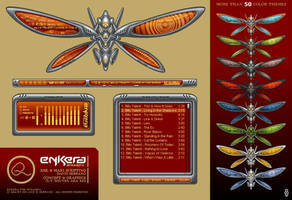 I downloaded this skin directly from WinAmp, didn't know I could have grabbed it here! 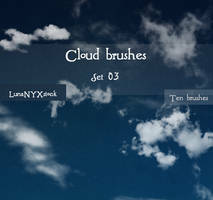 once all my other projects are done, im gonna work on an update for this. thanks to all the support! Yes! I finally found it! I love this skin. I forgot it's name and I couldn't find it for what felt like forever, and now I finally have it's glory back. THANK YOU! love the skin leechbite, been using it for a long time and only recently noticed the DA color theme! By the way, if you dont mind telling, whats the font you used for the titles and the clock? Great work. This one has style. I now have 2 skins by you. Wood Chrome and this one. Keep it up and I'll keep using them. great skin dude, I'm loving the colours and the lights. how do you get the notifier+cd cover to work? 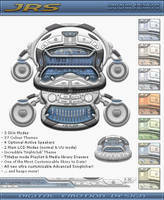 I've had this skin for ages and yet I have never seen it... or is it because it only works with audio cd's? Fantastic job ! 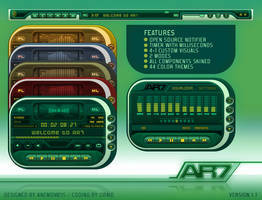 What effects and what a marvellous code work on winamp ! It goes to my top favorites with "Drone". 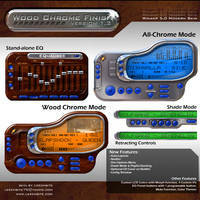 I just found your skin and I want to say it is flat out the best work on Winamp skinning in 6 years. fantastic job. On the machines where you've got resources to spare this is what you need. also, not to be contrued as informative, but, on a previous install there was a persistant memory leak that built up over several hours; I was never able to pinpoint a specific function that was the culprit. Almost an oldie, but still one of my favorites and currently in use. The winshade mode rocks. Nice. I think the buttons are too small, but you have included a vis button, therefore +fav. Can you say "eye candy"??? 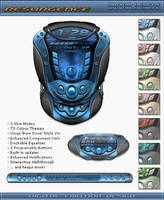 What program do I need to do skins like yours? 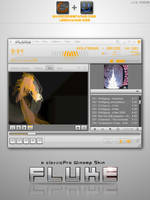 its just photoshop for the the graphics and notepad for the code. I'm speechless..................what a great skin !!!! nice work... i loved it.... ananuki rocks!! mubuhay leechbite!! keep up the good work tsong, astig!! 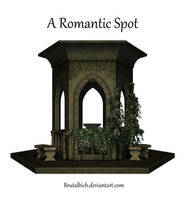 This looks an awesome piece of work, a piece of work which I`d love to use. But can someone help me first please? What programs do I need to install and use this Skin? I downloaded,double-clicked but Windows(XP) doesn`t recognise the file,so I`m guessing I need something. 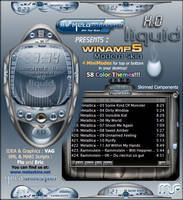 You need Winamp ! 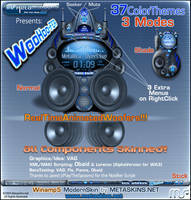 This is a Winamp Modern skin !! 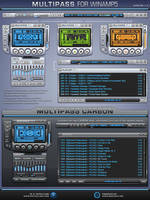 Just download Winamp... it's still available today, although not updated any longer. 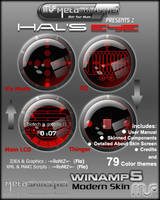 you must install Winamp 5 to use this skin. This skin is awesome and makes me want my carputer even sooner. When I get it, I'm definitely using the party mode for the interface. Awesome, absolutely awesome. thank you for all the nice words! v1.1 is coming. I love the design and colors very nice work tanx. I don't like most freeform skins but this one is actually usable! Good work! The party mode is very very cool! Every skin should have this! very nice, luv the volume button. This is great. Nice job!! Looks very good. I must commend you for the exceptinal detail and multiple modes you've added. One suggestion (maybe for a v2 :]) The buttons for play I felt were too small and that hampered visibily in most color themes. All said, this is a fantastic skin and it won't take long to become one of the most downloaded ones. The most incredible Eye-Candy I have ever seen in a player! This is incredible. Installed perfectly. Anyone reading this ..... GET IT!!! NOW!!! Thanks so much for creating this! I am still trying to catch my breath!